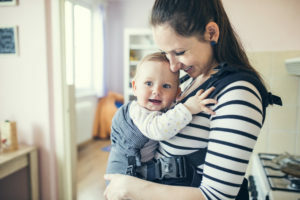 Pathways.org is a 501(c)(3) not-for-profit organization providing FREE child development information to empower parents and health professionals. Our milestones are supported by American Academy of Pediatrics (AAP) findings. Our games and activities are validated by pediatric physical therapists, occupational therapists, and speech-language pathologists. Milestones are checkpoints your baby should reach by a certain age. Review our list to make sure your child is on the right track. See milestones sorted by age and topic of development. Watch our milestone video series to see what each milestone looks like. Meeting milestones is hard work for baby! We’re here to help. Our games and activities encourage your baby’s growth and development every step of the way. They help baby gain the skills they need to reach milestones. 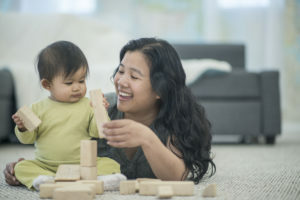 Visit our baby games calendar for developmentally friendly games to play with baby from birth through their second birthday. Check out our blog for activities and frequently asked parent questions on topics of development. Tip: Fill out our checklists and bring them to well-baby visits to help start conversations. We want to empower parents like you to have meaningful conversations about your child’s development with pediatricians and other healthcare professionals.